DR. SCOLES IS A MASTER TRAINER FOR CEREC WHICH MEANS HE IS HIGHLY TRAINED	& EXPERIENCED WHEN IT COMES TO CRATING NATURAL-LOOKING, LONG LASTING	CEREC SAME-DAY DENTAL CROWNS! Cracked or decaying teeth can really put a damper on your smile power. The last thing you want is for people to focus on the flaws in your teeth,	but you really can’t afford to spend all of your sick time going	to multiple dentist appointments. Our knowledgeable and skilled dentists	have the ability to restore cracked or broken teeth with same-day dental	crowns using the latest in CEREC technology. Our dental procedures provide	the undetectable dentistry you need to boost your confidence and bring	on the smiles. High-quality same-day crowns are possible when you work with the experienced	dental team at	Michael J Scoles DMD. Utilizing cutting-edge CEREC technology, our dentists can restore your	damaged or broken teeth quickly and with little discomfort. They will	start off by creating a 3-D image of your teeth, foregoing the messy and	often inaccurate process of taking a manual impression and ensuring precise	measurements for the absolute best fit. 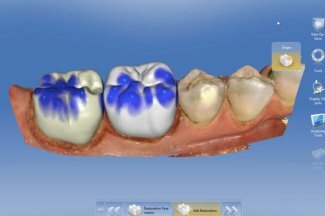 Due to the efficiency of CEREC	software, we can create and seat your crown during a single visit. The	crowns are made out of a high strength ceramic that mimic the color and	translucency of natural teeth. 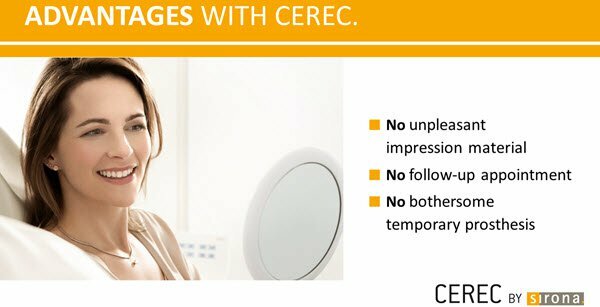 Dr. Scoles is a master trainer for CEREC	technology. When a dentist in the Pacific Northwest incorporates this	technology into their office, he is the one who goes there and teaches	them how to use it. Why Choose Dr. Scoles for Your Dental Crown? Dr. Scoles is a master trainer for CEREC. When a dentist in the area decides to implement this technology into their	office, he is one of the four dentists in the state who will teach them	how to use it. Most of the crowns done in our office are done with this	technique. However, in some instances, optical scanning cannot be done	and we will perform the crown procedure the traditional way. It’s	all about what best suits you and your tooth! Dental implants allow us to replace missing teeth in a way that does not require any removable	partials or glued in bridges to adjacent teeth. It’s the closet	thing we can do to giving you a new tooth! For the past ten years, our	dental office has been utilizing CBCT (cone beam computed technology)	3D x-rays to insure we place implants safely and accurately. All of our	implant surgeries are done fully guided, which means we have software	that allows us to create a guide that helps us place the implant in the	safest place, away from nerves or the maxillary sinus. Using CBCT technology	for implant placements is now seen as the standard of care when placing	implants. Our office has been using it for ten years! Whether you want a complete smile makeover or just need an emergency dentist	to replace a broken crown, Michael J Scoles DMD is ready to help! Our	dental team takes a great deal of pride in the quality of our same-day	crowns and dental implants. You can also count on our team for exceptional	services if you require cavity fillings, dental bridges, or other dental	procedures. Contact our friendly team today to schedule an appointment! If you or a family member has a chipped, cracked, or broken tooth or crown,	contact us as soon as possible to schedule your appointment. Our same	day crown technology and gentle techniques will make your visit quick	and painless. 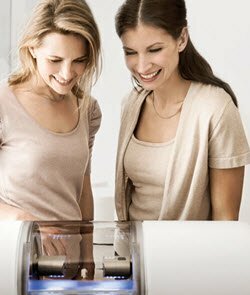 Want to find out more about same-day CEREC crowns? Call our Issaquah or Renton dental practices to make an appointment.